Significance: After the Battle of Brandy Station (9 June 1863), Gen. Robert E. Lee launched his plan for a second invasion of the north. 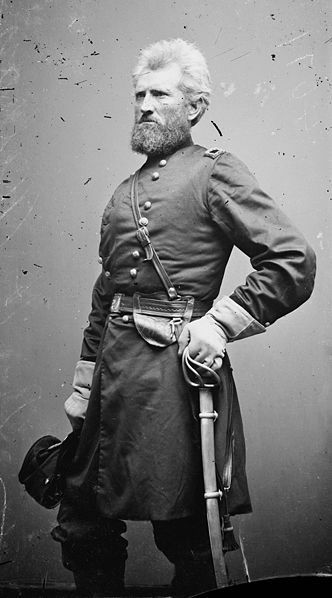 He ordered the Second Corps, Army of Northern Virginia, under Maj. Gen. Richard Ewell to attack the US force at Winchester and clear the Lower Valley of Union opposition. In the resulting three-day battle (13-15 June), Ewell's corps defeated, routed, and nearly destroyed a US division under Maj. Gen. Robert Milroy. This victory (the apogee of Ewell's career) offered high hopes for the success of Lee's second invasion of the North, hopes that were dashed on the battlefield of Gettysburg in July. In the words of Confederate artillerist Maj. Robert Stiles, ``This battle of Winchester ... was one of the most perfect pieces of work the Army of Northern Virginia ever did.'' The battle was won by deft flanking maneuvers and underscores the inadequacy of relying on entrenchments when confronted by a mobile attacking force. Prelude (12 June): On 12 June 1863, the Second Corps of the Army of Northern Virginia under Lt. Gen. Richard S. Ewell, three divisions nearly 19,000 strong, entered the Valley at Chester Gap and pressed on to Front Royal. 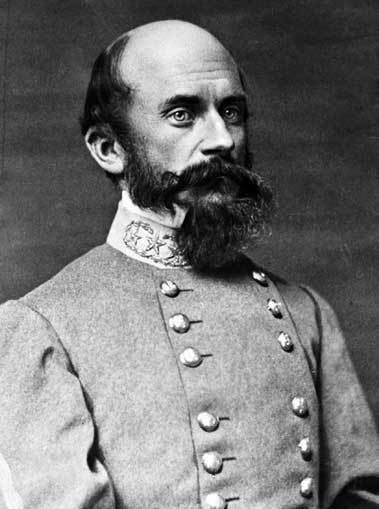 Two divisions under Maj. Gen. Jubal A. Early and Maj. Gen. Edward Johnson continued north on the Valley Pike and the Front Royal Road to converge on the Union defenders of Winchester under Maj. Gen. Robert Milroy. Despite the superior forces that were rumored to be approaching, Milroy was confident that the strength of his fortifications would enable him to repel the Confederates or withstand a siege. The ridges west of town were heavily fortified and consisted of trenches linking central strong points or ``forts''. The strongest of these were Fort Milroy and Star Fort. West Fort, a redoubt of six guns, featured prominently in the action. Phase One. US Dispositions (13 June): On 13 June, Milroy advanced elements of Elliott's brigade to Pritchard's Hill at Kernstown and sent elements of Ely's brigade to intercept any advance on the Front Royal Pike. McReynolds brigade was at Berryville. Phase Two. CS Advance on Front Royal Pike (13 June): Edward Johnson's Division of four brigades (Steuart, Williams, Walker, Jones) advanced on the Front Royal Pike driving back Union pickets. Approaching the intersection of Millwood Road about 1400 hours, Johnson deployed and swept forward, driving Union skirmishers from behind stone fences. US troops withdrew to high ground north of Abrams Creek under cover of a battery and the heavy guns of Fort Milroy. Johnson brought up a battery and engaged Union field artillery, driving several pieces from the field. The CS guns lacked the range to reply to Fort Milroy's guns and eventually were forced to withdraw. Johnson's advance was stalled, and he awaited the arrival of Early's division to the west on the Valley Pike. Phase Three. CS Advance on Valley Pike (13 June): Early's division of four brigades (Hays, Smith, Avery, Gordon) marched toward Winchester on the Valley Pike in conjunction with Johnson's division on the Front Royal Road. Late afternoon, Early's column reached the outskirts of Kernstown and drove back the US skirmish line encountered at Pritchard's Hill. US forces retreated to Cedar Creek Grade and briefly counterattacked, but Early extended his line to the west, out-flanking successive Union positions. US cavalry attacked several times up the Valley Pike to ease pressure on the infantry. Eventually, the Union force retreated north of Abrams Creek under cover of the heavy guns from Bower's Hill and Fort Milroy. Phase Four. Milroy Withdraws into the Forts (13 June): After dark Milroy concentrated his forces inside a triangle defined by Fort Milroy, Star Fort, and West Fort. McReynolds' brigade reached Fort Milroy after marching a round-about route from Berryville, harassed by Confederate cavalry. Milroy's soldiers had fought well during the previous afternoon, and he was confident that he could withstand renewed Confederate assaults in the morning. In the meantime, Ewell ordered his third division under Maj. Gen. Robert E. Rodes to advance on Martinsburg via Berryville to cut off Milroy's retreat in that direction. Phase Five. Early's Flank March (14 June): At dawn of 14 June, one of Early's brigades (Gordon) swept forward to capture Bower's Hill with little resistance. Johnson extended his line to the right against very light opposition; there was fitful skirmishing in the streets of Winchester. Early and Ewell conferred on Bower's Hill and decided on a flanking strategy. Gordon's brigade and two batteries were left on Bower's Hill, while Early led his three other brigades back to Cedar Creek Grade, west beyond Apple Pie Ridge where it was out of view of US fortifications, then north over Cloverdale Plantation to Walnut Grove. His column was accompanied by 20 guns. While Early made this march, Johnson advanced a line of skirmishers on the right to occupy the Federals' attention. The CS batteries on Bower's Hill opened up, touching off a duel with the Union guns in Fort Milroy. By mid-afternoon, Early's force had gained a position opposite West Fort on Apple Pie Ridge. Eight guns were positioned on the Brierly Farm northwest of the fort, while 12 guns were placed in an orchard southwest of the fort. By this time the field had quieted, and the US forces believed that the Confederates had been repulsed from Winchester. Phase Six. Attack on West Fort (14 June): About 1800 hours, Early's artillery opened fire on West Fort. The twenty guns fired for 45 minutes, while Brig. Gen. Harry T. Hays stealthily advanced his Louisiana brigade through the corn and wheat fields at the base of Apple Pie Ridge. On command, the brigade rushed forward across 300 yards of open fields and swept upward into the works. After a brief hand-to-hand struggle, US defenders abandoned the works, retreating to Fort Milroy. Hays was supported in the attack by two brigades (Smith and Avery). Early consolidated his line on West Fort Ridge, but darkness prevented further gains. An artillery duel continued until long after dark. After the battle, Ewell christened West Fort Ridge as ``Louisiana Heights'' in honor of Hays's brigade. Phase Seven. Johnson's Flank March (14-15 June): Ewell assumed that Milroy would retreat during the night and ordered Johnson to prevent his escape by cutting the Charles Town Road. About 2100 hours, Johnson (with Steuart's and Williams's brigades and 8 guns) marched north to Berryville Pike and west to Jordan Springs Road, where he turned north toward Stephenson's Depot. About midnight, the Stonewall brigade disengaged and joined the rear of the column, leaving one brigade (Jones) astride the Berryville Pike east of town. Phase Eight. 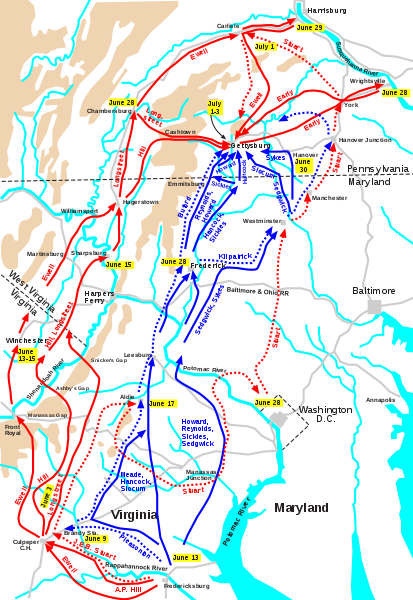 US Withdrawal (14-15 June): After conferring with his officers, Milroy made the decision to try to ``cut their way through'' to Harpers Ferry on the old Charles Town Road. All of the cannons were spiked and their carriages destroyed. Shortly after midnight, the Union soldiers left their works so quietly that Early's Confederates did not know they were gone until morning. The column massed in the low ground between Star Fort and Fort Milroy, then moved down the railroad and the Valley Pike toward the Charles Town crossroad, just south of Stephenson's Depot. Phase Nine. US Surrender at Stephenson's Depot (15 June): Near dawn, Johnson's skirmishers encountered the head of Milroy's retreating column near the intersection of the Valley Pike and old Charles Town road. Milroy faced his column to the right on the pike and prepared to fight his way out of a ``murderous trap.'' Johnson deployed his regiments along Milburn Road as they came up and advanced to the railroad and placed two guns on either side of the Charles Town Road railroad bridge. The rest of the artillery was deployed on the heights east of Milburn Road. As it grew light, US forces made several desperate but uncoordinated attacks against the bridge and railroad embankment. Contrary to popular perception, Second Winchester is not a ``lost'' battlefield. 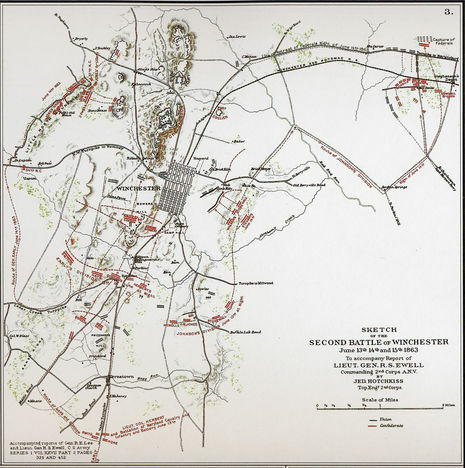 Because of the wide-ranging Confederate maneuvers involved, the battlefield covers a great deal of ground, but the major fighting and casualties occurred at five locations: Pritchard's Hill; the intersection of Millwood and Front Royal pikes (interchange 82 of I-81); Abrams Creek and Bower's Hill; Apple Pie Ridge and West Fort; and Stephenson's Depot. Three of these locations retain high levels of integrity: Pritchard's Hill, Apple Pie Ridge and West Fort, and Stephenson's Depot. The parcel of ground at Pritchard's Hill figured prominently in both battles of Kernstown and in the rear guard actions of Opequon. The parcel of ground at Stephenson's Depot figured in cavalry actions during the battle of Opequon and in the engagement of Rutherford's Farm (20 July 1864). Although the field over which the Louisiana Brigade attacked West Fort has been divided by the rte. 37 bypass, the terrain is still intact and adds to the interpretation of the battle. 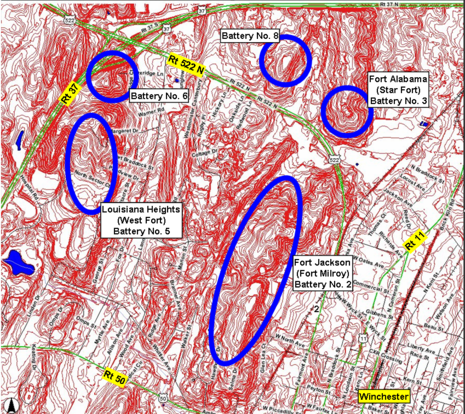 Central to understanding the Union ring of fortifications at Winchester are Fort Milroy, Star Fort, and West Fort. Of these, Star Fort is well preserved, while remnants survive of Fort Milroy and West Fort. Portions of related entrenchments survive on ridges north and west of Winchester, although the extent of survivals has not been measured. The view from Star Fort is essential for understanding the US position at Second Winchester. Access to Fort Milroy and creation of a viewshed among trees would enhance the ability to interpret the Union situation. The routes of CS flanking maneuvers (Early to the west and Johnson to the east) can be followed. Early's route traverses well preserved rural tracts north from Cedar Creek Grade along Apple Pie Ridge. The exact route can only be followed on foot across private property. Johnson's route crosses a portion of the Opequon battlefield and follows rural roads past Jordan Spring to the intersection of rtes. 761 and 11 near Stephenson. Much of this course is through scenic farmland, although the density of housing along segments of these roads is increasing. Driving this route offers an appreciation of CS strategy and of the final action at Stephenson's Depot. Many historic structures associated with the battle remain in and around the city of Winchester, including Taylor's Hotel which served as the US headquarters, and Cloverdale and Walnut Grove, which were passed by Early's flank march. The city of Winchester has grown up around the US defensive position, which was anchored by West Fort, Star Fort, Fort Milroy, and connecting entrenchments. In most cases, however, the ridge crests have been the last to develop as residential tracts have filled the valleys. As a result, Star Fort is well preserved; portions of Fort Milroy remain; and traces of West Fort can be located. Recently, housing has been built along West Fort Ridge (``Louisiana Heights'') destroying or otherwise segmenting surviving earthworks. The northern portion of Fort Milroy was recently purchased for the purpose of development; the southern portion is owned by National Fruit Products. Seven acres of Star Fort are owned by a local preservation group, but the surrounding 50 acres are zoned commercial/business and are currently for sale; portions of earthworks at Star Fort are in need of stabilization; grounds would need to be cleared, planted with grass, and maintained to expand visitation and interpretation. Commercial and industrial development along rte. 522 intrudes somewhat on the viewshed. Of the five main engagement areas, Bower's Hill is a housing subdivision and site of a high school, elementary school, and water tower. A degraded portion of the field (also fought over during First Winchester) remains along railroad tracks west of US 11, but this land is scheduled for high density residential development. Johnson's position on June 13-14 at intersection of Front Royal and Millwood pikes lies beneath I-81 interchange #82. Land contours have been extensively altered and viewsheds blocked by dense commercial/industrial development in the vicinity. These two segments for most interpretive activities have been lost. Pritchard's Hill is privately owned and remains in a relatively pristine state. The land between Pritchard's Hill and Bower's Hill has already been densely developed for residential and commercial purposes. The Apple Pie Ridge-West Fort parcel across which the Louisiana brigade attacked West Fort is bisected by rte. 37-bypass but is visually well preserved, maintained as pasture and apple orchards. Two historic stone houses survive adjacent to the highway, which runs through a ravine and is not particularly intrusive to the view from Apple Pie Ridge. An excellent vantage point for understanding this phase exists just south of the intersection of rtes. 522 and 679. The area south of Stephenson's Depot, site of the massive US surrender, is by far the best preserved parcel of Second Winchester. Except for power lines and towers, the land retains its Civil War appearance. This parcel covers much of the ground where the battle culminated, where the most desperate fighting occurred, and where nearly 3,000 Union soldiers surrendered; its significance should not be underestimated. The parcel is owned by a local developer, but is not currently serviced by sewage lines.